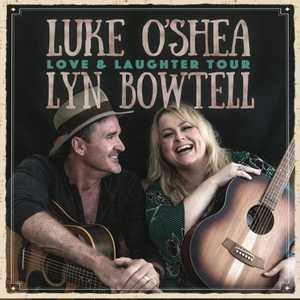 Multi award winning Country music stars Luke O’Shea and Lyn Bowtell are coming to the Sunshine Coast for two shows in early March, as part of their ‘Love and Laughter Tour’. With 16 Golden Guitar Awards between them, singer/songwriters Luke O’Shea and Lyn Bowtell, whose sublime voice turned all four judges chairs on the 2017 series of The Voice, have joined forces to share their passion for music, live performance and touring this magnificent country of ours. Luke and Lyn will share songs, stories and laughter, as they combine on stage to create a live music event even greater than the sum of its already impressive parts. Luke O’Shea and Lyn Bowtell will be performing at Maleny RSL on Saturday 9th March and at Royal Hotel, Gympie on Sunday 10th March.